Marguerite B. “Peg” O’Brien, 90, of Lee, died in the early morning hours of April 1, at Berkshire Medical Center. Peg was born September 28, 1928 in Hillsdale, NY, the daughter of Arthur and Bessie Madison Van Tassel. 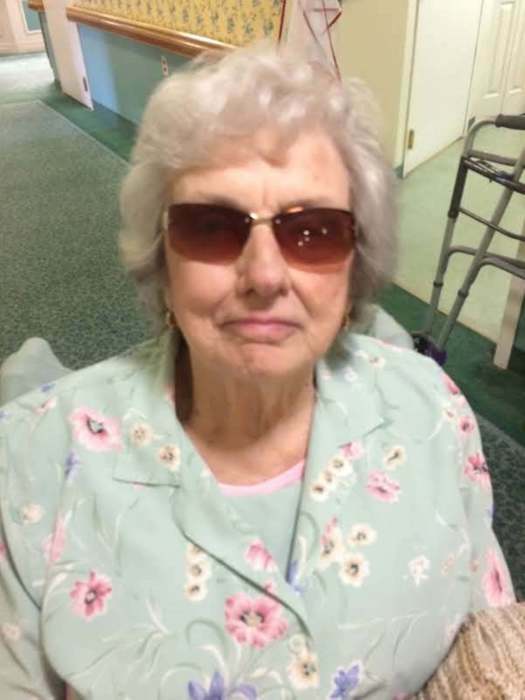 She was raised and educated in Hillsdale and was a graduate of Roe-Jan High School, Class of 1945. After high school, Peg studied hair dressing at the Wilfred Academy, and then went to work in various hair salons both in New York City and Hillsdale. Peg married Robert J. O’Brien, Sr. on November 25, 1948 and several years later, they moved to Pittsfield, then to Lee in 1958. Her husband died May 23, 1986. Mrs. O’Brien was a communicant of St. Mary’s Church where, in earlier years, she served as a Eucharistic minister, member of its choir, parish council, adoration society, St. Mary/St. Martha Sodality and Bingo team. In addition, Mrs. O’Brien, for many years, worked for the Lee Council on Aging. Mrs. O’Brien leaves behind her three sons: John E. “Jack” and his partner, Lana, of Lee, Gary A. and his wife, Patricia, of Watertown, CT and Robert J. Jr. and his wife, Sheryl, of Lee; one daughter, Joanne M. Walsh of Pittsfield; eight grandchildren: Alicia, Kelly, Amy, Michelle, Laura, Daniel, Corey and Anthony; 9 great-grandchildren: Jacob, Annabelle, Jack, Emma, Charlotte, Lila, Brennan, Gus and Teddy; in addition, she leaves behind her 10th great-grandchild whom will be born sometime this month. Peg also leaves behind her two brothers: Ronald Van Tassel and his wife Clara Ann of Ancram, NY and Donald Van Tassel of Athens, NY. Besides her husband, Mrs. O’Brien was predeceased by her brothers: Enus and Reginald Van Tassel; her sister, Elizabeth Burch and her son-in-law, Mal Walsh. Funeral Services for Peg O’Brien will be held Friday, April 5, 10AM at St. Mary’s Church with a Liturgy of Christian Burial celebrated by Fr. Daniel Cymer. Burial will follow in St. Mary’s Cemetery. Visiting Hours will be held Thursday evening from 5 – 7PM at the Kelly Funeral Home. In lieu of flowers, donations may be made to the American Cancer Society in care of Kelly Funeral Home, 3 Main St., Lee, MA 01238, or to a charity of ones’ choice.